Flexibility is a highly-regarded trait characterized by a willingness to let go of preconceived notions and mindsets that say “my way or the highway.” To be flexible is to welcome new opportunities, even when it requires the loss of our agenda, yet it can also be the first thing to go when life, work, and relationships feel chaotic or ambiguous. The moments we need to be most flexible tend to be when we are most resistant. We naturally resist chaotic situations. Some say religion developed as a response to a perceived chaos in the universe, in an attempt to bring order to what felt disordered. That said, things can feel chaotic and actually be quite structured and intentional. The feeling of chaos is, in a sense, created to communicate something we would not otherwise hear in a more ordered circumstance. Collin Marshall explored this idea in “Deconstructing Saving Private Ryan’s epic open battle scene: How Spielberg captures chaos with clarity”. By slowing down Steven Spielberg’s infamous beach landing at Normandy, Marshall allows us to see the intent behind Spielberg’s attempt to communicate an overwhelming amount information in each shot. We are asked to comprehend so much in such a short space of time, that it’s overwhelming. And that, in part, is his point. The filming is set up to close the gap between what we know from books and testimonials, and what we have seen in still images or limited motion picture footage captured during the actual event. Through a structured series of 200 shots in 24 minutes, Spielberg makes the viewer “feel” the chaos that took place on that beach in WWII. I remember the sense of exhaustion I felt when the scene ended. I had a new appreciation of what those soldiers went through, and how it left a mark on their psyches. For the first time, I “got it.” WWII wasn’t the glamorized experience portrayed in the John Wayne films of my youth. The chaos taught me something I couldn’t have seen or felt otherwise. Ambiguity carries some of the same elements of chaos, requiring similar flexibility in order to let go of preconceived notions and welcome ambiguous experiences instead of resisting them. In a lecture series filmed at Harvard in the early 1970s, long before YouTube and TED talks, Leonard Bernstein addressed both sides of the topic in his third lecture, “The Delight and Dangers of Ambiguity.” Not many of us find delight in ambiguity. Our society feasts, instead, on the notion of clarity. As such, we’re more likely to consider ambiguity a bit dangerous. About nine minutes into Bernstein’s lecture (8:43-10:48 to be precise), using quite technical jargon, he explains how the repetitive notes of familiar songs create an ambiguity that eventually become delightful…only after the dissonance is resolved. If we were to stop listening to the music because we were uncomfortable with the ambiguity, we would miss out on the enjoyment of the whole song. “Resolve brings fulfillment,” says Bernstein. Without ambiguity and dissonance, there’s no space for resolution. Without resolution, we never experience fulfillment. This, he contends, is one of the reasons certain pieces of music last for centuries. We’re intentionally drawn into the dissonance and ambiguity so we may be fulfilled by the resolution. 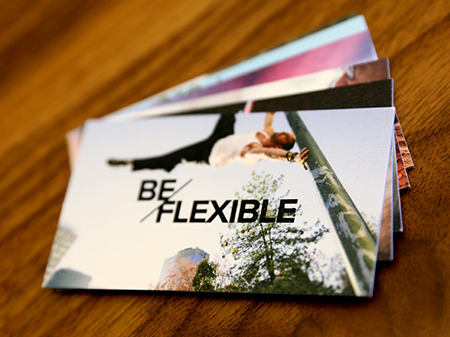 Unbridled holds “be flexible” as a core value. It’s how we navigate the often chaotic moments inevitable in business development, events, production, logistics, project management and the everyday joy and messiness of working together. To allow space for ambiguity and acceptance of the chaos that goes with it, we must remain flexible. And that’s exactly how Bernstein came to compose some of the world’s most notable music, and the reason Spielberg’s movies are among our all-time favorites. They entertain the possibilities within creative endeavors, intentionally writing chaos into the composition or scene, for the sole purpose of bringing a resolution that leaves the audience with a feeling of fulfillment. Don’t miss out on the possibilities that lie within the often ambiguous and chaotic experiences. It takes a flexible posture to engage the possibilities.